Banned Australian cricketer David Warner is understood to have been welcomed back into the Australian change rooms by coach Justin Langer. Prior to Australia's Twenty20 clash with India at the SCG, Warner was shown facing up to Australian pacemen Josh Hazlewood and Pat Cummins at the nets on Fox Cricket's coverage. Fox Cricket host Neroli Meadows reported that in addition to the hitout with his Australian teammates, Warner had been welcomed into the Australian change rooms by Langer. As the end of the ban imposed on Warner, Steven Smith and Cameron Bancroft nears, the 32-year-old is working feverishly to be able to return to the national side in top form. Warner was not content with a brilliant innings of 81 in a Twenty20 hit out for his club side Randwick-Petersham and opted to get in an extra net session at the SCG on Sunday. 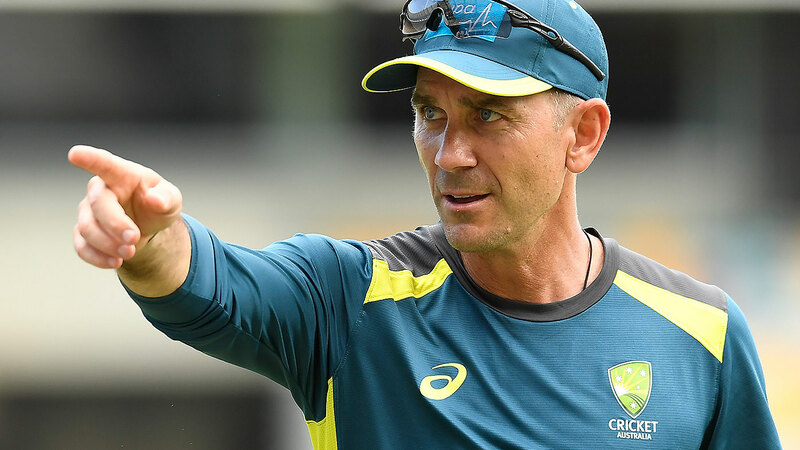 Speaking on Fox Cricket's coverage, former Australian wicketkeeper Adam Gilchrist praised Warner's "insatiable" appetite to return to the game in top form. "That's great that he's been welcomed back into the fold," Gilchrist said. "Clearly he's got a hunger to keep improving and trying to see out this suspension."